We have over a decade of experience in the Orlando, FL area, and we know what it takes to perform a septic pumping service correctly. 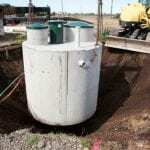 Septic Pumping in Orlando – Septic pumping is essential for keeping your septic system working properly. If your septic system is not pumped on a regular basis, it can lead to costly and inconvenient repairs. 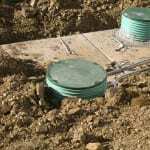 You may be starting to notice that your septic system is not working properly if you have drains that are clogged or backed up often. Though these problems may seem like a small issue, they may be a sign of bigger problems. If you have not had a septic pump service performed recently or you have concerns about how your system is functioning, contact us today. Though it may seem like any company can perform a septic pumping service, it is important to choose your provider wisely. Here at Clark Septic, we always put our customers first. We believe in providing honest, dependable, and quick service to our neighbors here in the Orlando, FL area. When we perform a septic pumping service for you, we use a pumping truck to ensure your service goes smoothly and is performed without sewage backups or other serious damages. We have over a decade of experience in the Orlando area, and we know what it takes to perform a septic pumping service correctly. In addition to removing built-up waste from your septic tank, our septic pumping service includes a routine inspection for cracks, holes, and other imperfections that could lead to wasted money down the road. We offer additional septic services, as well, including routine maintenance, inspections, and repairs to make sure your system is always running properly. We serve Central Florida, including Orlando, Winter Park, Ocoee, Altamonte Springs & surrounding areas. At Clark Septic, we offer high-quality septic pumping services in Orlando, Altamonte Springs, Kissimmee, Ocoee, Pine Hills, Winter Park, Deltona, and Winter Springs, Florida.